The #1 garage door service provider is finally in Denver, Colorado. A1 Garage Door Service is here to provide answers to your garage door concerns. And we do it the only way we know how – through the A1 quality of service. We would not name our company A1 if we will not deliver that level of service to our clients. A1 Garage Door Service offers excellent quality of customer service. We make sure we live up to our name and even work hard to exceed customer expectations. Homeowners all over Denver can call A1 Garage Door Service Denver at 720-400-7727 for all your garage door needs. We have an extensive collection of garage doors from different brands and makers to give you lots of options to choose from. We have partnered with Ankmar, Amarr, Clopay, CHI, Martin, Northwest Garage Doors, and Wayne Dalton to provide you with the best garage doors for your homes. We make sure that our garage doors and openers are made of the highest quality. You can visit our state of the art showroom at A1 Garage Door Service Denver to see the different garage doors that we offer. We have standard steel doors, carriage house doors, composite doors, glass panel doors, custom wood overlay doors, and copper, aluminum, and steel overlay doors. You can also pick other styles and the color that you want for your garage door. And if that is not enough, A1 Garage Door Service can customize your garage door according to your preferred specifications. We have in-house custom door manufacturing if you want to have your own design. We also have various designs available that we have carefully pre-selected for our clients. We can customize the size, materials, style, and color to make your garage door unique. Now, there is no reason for you not to achieve the garage door of your dreams that would suit the overall design of your home sweet home. Having your garage door customized has other advantages too. You can get your garage door faster. You can also cut on transportation costs. We are your one-stop shop for garage doors and parts that you need for installation or repair. We have garage door openers, garage door opener remotes, garage door tracks, cables, drums, rollers, springs, and panels. You can also get your garage door lubricants, insulation materials, and weather seals from A1 Garage Door Service. Call us now at 720-400-7727 and our customer service representative would be happy to answer your questions about garage doors. Our hotline is open twenty-four hours and seven days a week to make sure that we are there for you no matter what time or what day it is – because A1 Garage Door Service is service that you can count on anytime. Is your garage door opener defective or simply not working? Call A1 Garage Door Service at (720) 400 7727 and we will fix it for you. We have all the top models, brands and makes of garage door openers plus laser eyes and keypads. A1 Garage Door Service specializes in the installation, repair and maintenance of all commercial doors such as as security gates, roll-up garage doors, warehouse doors & more for local Tempe companies. Simply call us at (720) 400 7727. Do you have a broken or bent garage door panel? Contact A1 Garage Door Service at (720) 400 7727 and we will immediately replace or repair it. Always get the best torsion & extension springs. A1 Garage Door Service has an array of premium quality springs appropriate for your garage door. Just dial (720) 400 7727 to get your door functioning like new. Do you have a damaged door? Worry no more. Our expert team at A1 Garage Door is well-equipped to fix it for you. Call us at (720) 400 7727. We know how you value the importance of having your own beautifully designed custom garage door. Call A1 Garage Door Service at (720) 400 7727 and benefit from our personal service from the conceptualization to the installation of your garage door and even its maintenance. Is your garage door loud? Is it lowering and raising slowly and gradually or even jumping on the tracks? Our technicians will make sure all of your components are in working condition and provide you with a full tune-up at reasonable prices. Just dial (720) 400 7727. Are you in need of a brand-new garage door? Whether your home’s door is old and broken down or you want to update the visual appeal of your home with a custom garage door, our technicians will certainly give you the service you deserve at a good price. Simply contact (720) 400 7727. Our specialists will install a brand new garage door weather seal which will keep rats, rain and dust away from your garage for good. 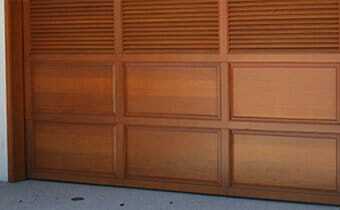 Its simply a matter of calling A1 Garage Door Service at (720) 400 7727.